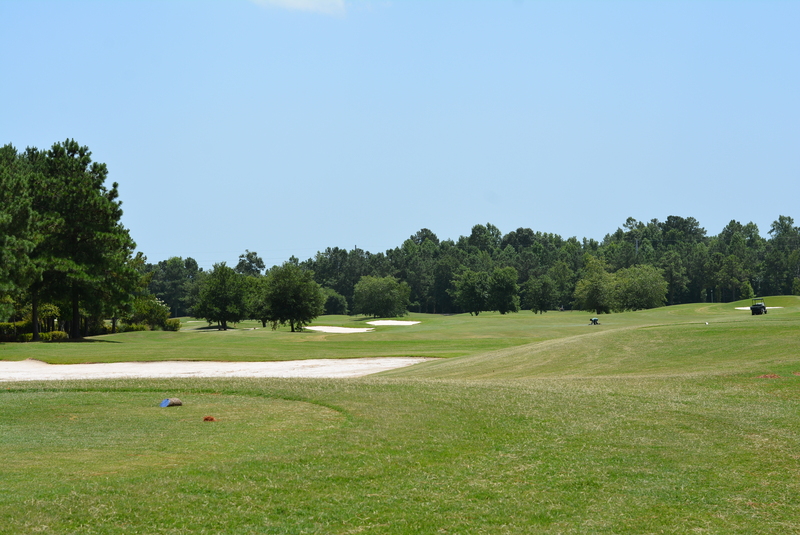 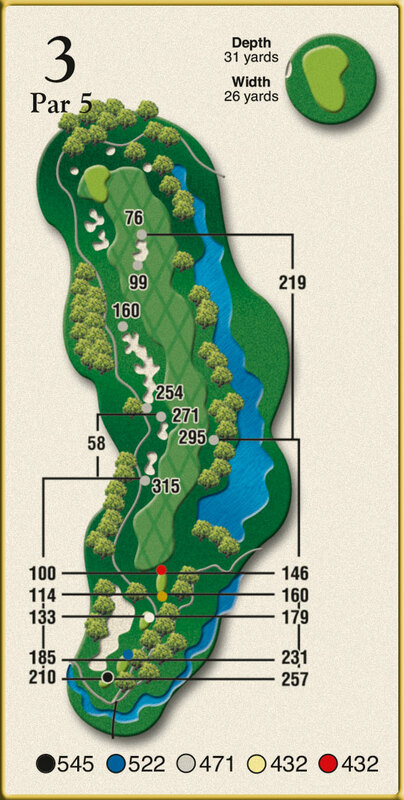 Assuming a golfer has hit a reasonable drive on this hole number 3 first Par 5, the next test is one of multiple choice. 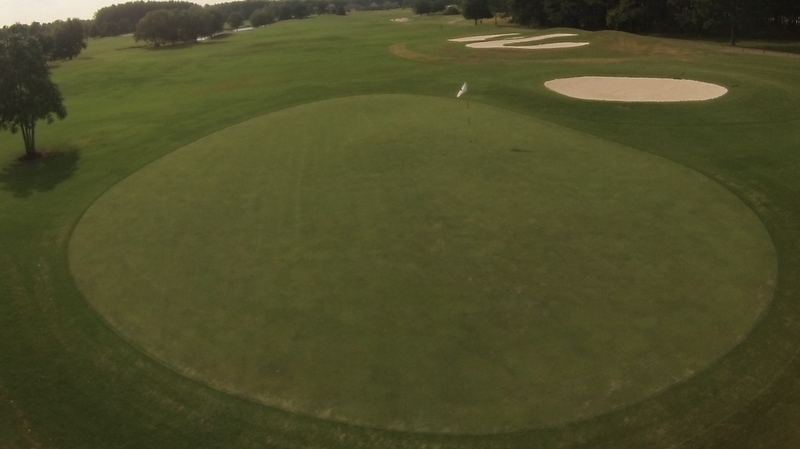 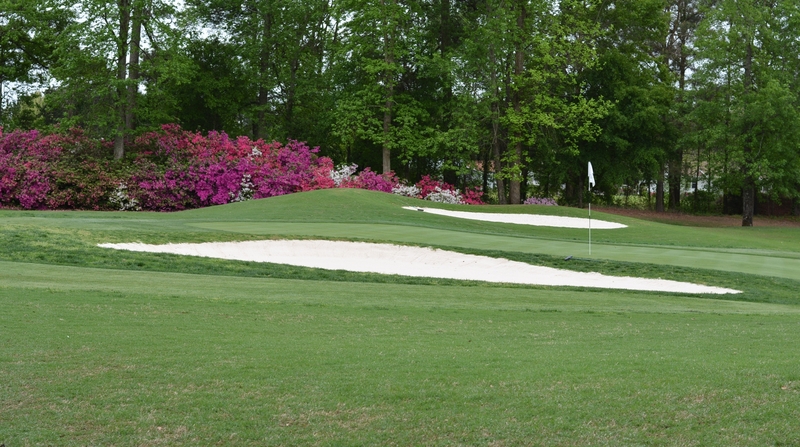 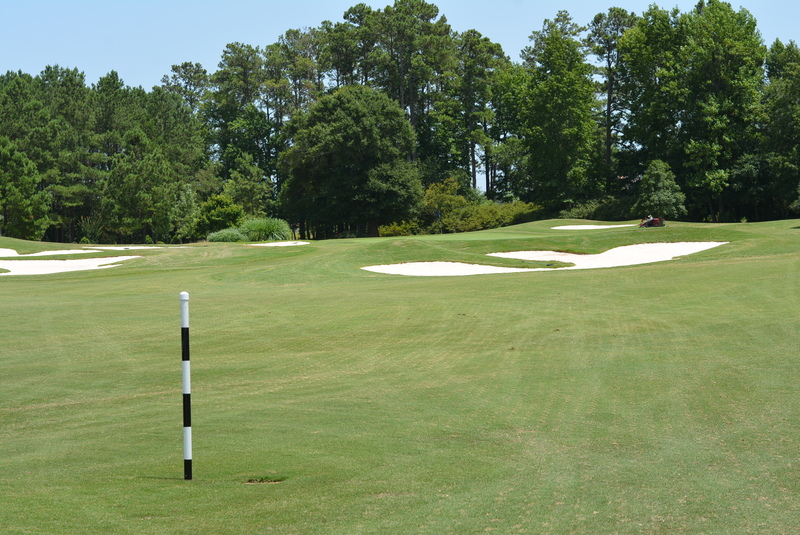 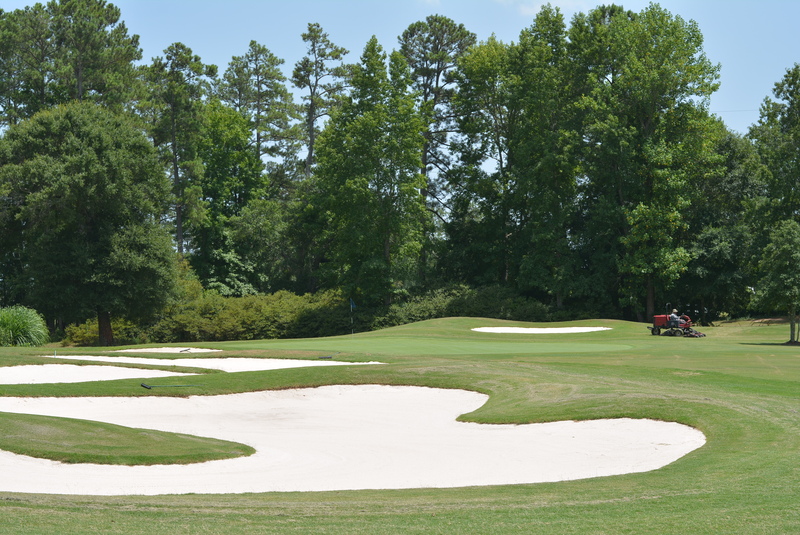 The bunker will require a decision on whether to lay up, play left or right, or go for it all. 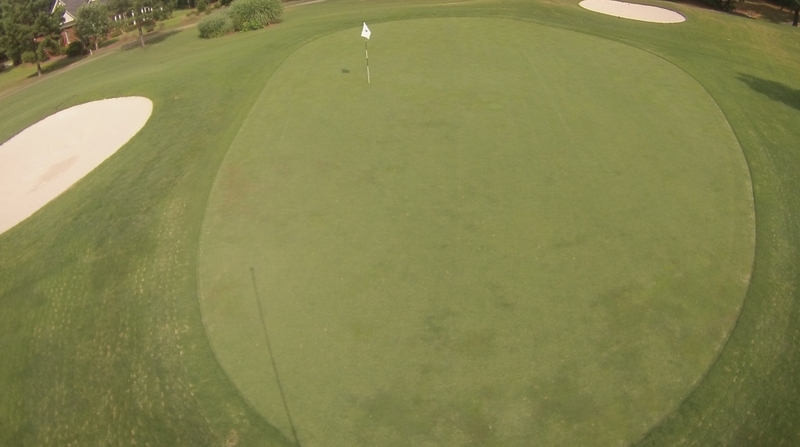 For most amateurs, getting there in 2 from the whites is not an option. 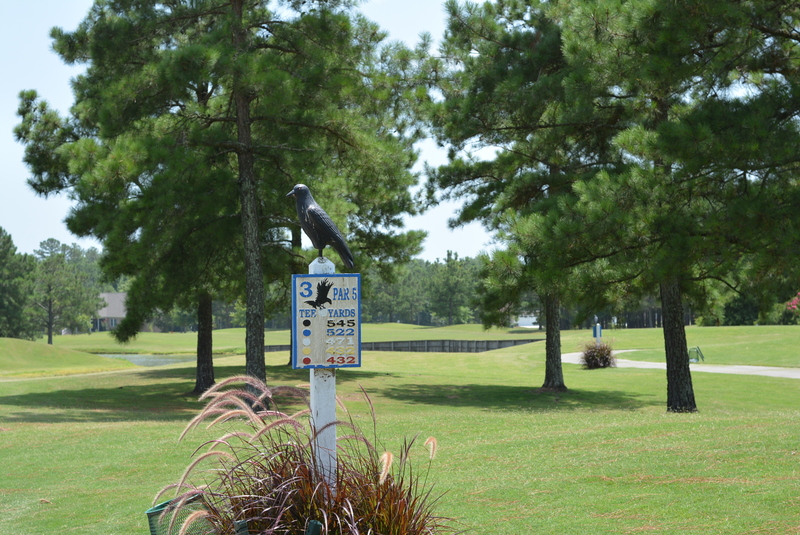 Birdies are possible with smart play.